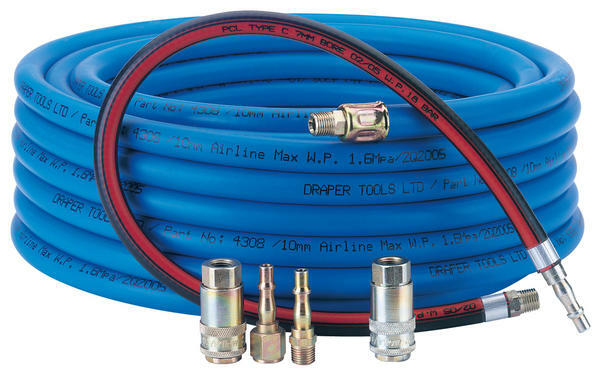 Air tool connection kit consisting of high pressure PVC hose, whip hose, PCL male taper, female parallel and female safety couplings. Sold loose. Delivery: Free Express Next Working Day. Restrictions: UK Postcodes Only. Additional Charges Apply for Highlands, Islands and Northern Ireland.